CES was a microcosm of Chinese tech's success and failure. 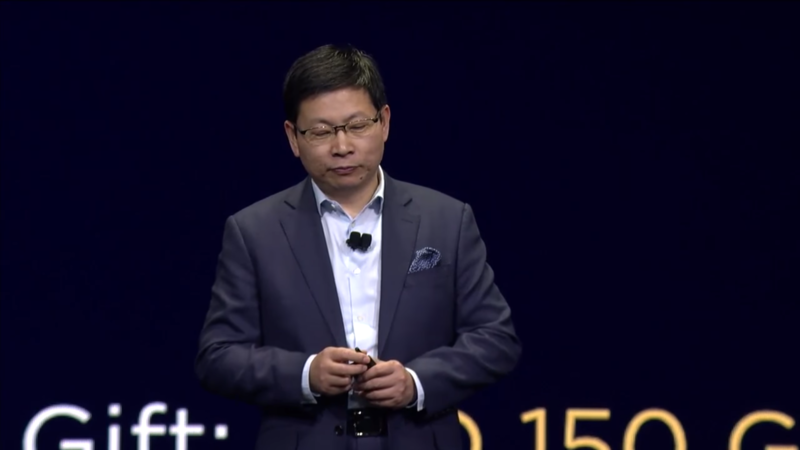 Standing in front of a slide simply titled "Something I want to share," the CEO of Huawei's consumer product division is about to break tradition. Richard Yu is going to directly address the reported partnership with AT&T that fell through at the last minute, pulling back the curtains, ever so slightly, on a business that is largely conducted behind closed doors. The Chinese electronics company recently overtook Apple as the world's second-largest smartphone maker in sales, but it still struggles to gain the approval of the American public. You can almost hear the trepidation in Yu's voice as he begins. "You know today, uh ... Many people are waiting [for] me to announce that we are, uh, partnership with a carrier. Many of you guys have seen the newspapers that something is happened. That, uh, unfortunately this time, we cannot, uh, have this, uh, uh, to sell this phone, you know, from the carrier channel." Yu laughs nervously as he says this. "Everybody knows that in the US market, that, uh ... over 90 percent of smartphones are sold by the carrier channels," he adds. Whether it's due to nerves or frustration, his almost-candid rantlet is refreshing, his motivation clear. Yu has had enough. For years, Huawei has made phones that are well-received by global and American media alike. In the US, however, the company's devices are consistently criticized for not being sold through a carrier. Like Yu says, a vast majority of phones bought in the US are from carriers, and the apparent inability to make a phone that passes stringent carrier requirements not only limits Huawei's access to American customers but also makes the company seem incompetent. The thing is, Huawei is anything but. In recent years, its phones have greatly improved in quality, especially when it comes to design. It seemed to have finally gained enough momentum to achieve carrier buy-in, with multiple reports saying the company had clinched AT&T's approval to sell the Mate 10 Pro. Yu's speech seems to confirm this, although he never mentions the reason for the dissolution of the partnership. The Information reported that political reasons were behind the last-minute pullout while Reuters said shortly after that Congress lobbied for AT&T to drop the deal. In its official statement, Huawei doesn't directly address the deal and why it fell through. "We have the strongest confidence in our products and will continue to innovate and break new ground. At the same time, we believe that U.S. consumers deserve equal opportunity and the choice to enjoy the best technology and more smartphone options through more channels, just like other satisfied Huawei users around the world," the company writes. Huawei isn't the only major Chinese company with its eyes locked on America. Baidu, which is Google's equivalent in China, showed off a trio of smart speakers at CES, and company reps told Engadget that it definitely wants to bring its products to the US. Alibaba, also known as China's Amazon, also wants to establish a presence in America. But there are many challenges clouding these companies' ability to forecast a timeline. In Baidu's case, tweaking its smart speakers for the US involves a complete overhaul. Its natural language interface DuerOS not only needs to be tailored for different consumer behavior but also has to learn an entirely new language (and all the associated nuances). Basically, American and Chinese people have different habits and tastes, and a product for one market cannot simply be reskinned to suit the other. Chinese companies simply don't have a good reputation in the US. Chinese companies also frequently have names that Americans find hard to pronounce, like Xiaomi and Huawei. This affects the consumer's ability to recall the brand when deciding what to buy, making it even more difficult for Chinese companies to appeal to the US market. The problem is so bad that Huawei has had to launch a massive ad campaign teaching Americans how to pronounce its name ("who-ah way" in Chinese, "wah-way" in Cantonese, "wow way" in the company's unfortunately inaccurate marketing material). Xiaomi, which is frequently mispronounced as "show-me" actually sounds closer to "see-ow me." But it's not just language and cultural differences that get in the way. Chinese companies simply don't have a good reputation in the US. Right after Yu's press conference at CES, Congress quickly proposed a bill to ban government agencies from working with Huawei and ZTE. These two companies were also the subject of a 2012 report from Congress claiming they "cannot be trusted." Huawei writes in its official statement that "privacy and security are always our first priority. We are compliant with the world's most stringent privacy protection frameworks, including all GAPP and GDPR privacy protection requirements." Both ZTE and Huawei also stated back in 2012 that they felt they were being unfairly singled out in Congress' inquiry. Recently, Homeland Security also issued a memo saying it believes DJI drones are spying for China, while the office of the US Trade Representative continues to blacklist Alibaba over counterfeit goods. Whether these claims are valid or not, when your government makes such statements, it's hard to feel safe buying anything from these companies, not to mention something as personal as your cellphone. In the years since, though, ZTE has managed to sell low-cost phones through T-Mobile, MetroPCS and Boost Mobile. Most recently, ZTE's folding dual-screen phone launched exclusively in the US via AT&T, although the rest of the company's higher-end Axon series is still only available on the open market. Upstart OnePlus, which branched off popular Chinese phone maker Oppo, is also well-received in the US, although it isn't sold via a carrier. Why ZTE was able to achieve what Huawei couldn't isn't clear -- perhaps its low-cost appeal is greater than the perceived risks. Other companies, like Lenovo, operate smoothly in the US largely due to acquisitions of established local brands and convincing most of the existing execs, in this case from IBM, to stay. Other countries around the world have much less of a problem with Huawei and ZTE than the US does. But the American public's mistrust of Chinese tech companies isn't unfounded. In 2017, we watched as Tesla wannabe LeEco crashed and burned after expanding its business to the US, amid reports of shady financial practices including multiple debts and breaches of contracts. LeEco former CEO Jia Yueting is now reportedly refusing to return to China as authorities there begin investigating him, something he's apparently done before during a corruption scandal. Huawei itself was sued by T-Mobile in 2014 for not only trying to copy the Uncarrier's phone-testing technology but also for attempting to steal it. We don't know of many other obvious, confirmed cases of Chinese companies engaged in illicit dealings. We do know that other countries around the world have much less of a problem with Huawei and ZTE than the US does. In Europe, Asia and other parts of the world, Huawei and ZTE phones are well-received. In fact, Huawei's handsets are so popular that even without the American market, it's become the second highest-selling brand worldwide. "We have gained the trust of over 150 million customers in the past year alone, and now sell our devices through more than 45 of the top 50 global carriers," Huawei says in its statement. Meanwhile, US brands continue to court China and its massive market, often with the help of local partners. For example, Chinese startup Mobvoi helped Google bring Android Wear to the People's Republic, while Alibaba said it has helped small-to-medium-size American businesses like Real Techniques, OtterBox and Stadium Goods develop their brands and sell to locals. Apple has made a large push into China in the past two years, while Lenovo's smart speaker was designed in part to help Amazon bring Alexa to the Asian superpower. America doesn't want to allow Chinese brands, barring a well-established few, to sell higher-end products in its borders. Chinese technology is as good as, if not sometimes even better than, what we have in the US. At Alibaba's booth at CES 2018, I tried out a face-recognizing receptionist robot that could conveniently clock employees in and out, a real-time translating chatbot, and a speaker that taps into almost every available online service to enable things like food delivery or video calls with your family. To some extent, you can already do that with the Amazon Echo or Google Home, but it's important to note that healthy competition ultimately benefits the consumer. Alibaba is already testing how to sell Ford's electric vehicles with vending machines in China: How long will Americans have to wait for that sort of convenience? Chinese businesses need to make products that are so desirable to Americans that blocking them from the US would be difficult. Meanwhile, the US needs to consider how open it wants to be when it comes to trading with China. America is happy to continue feeding its goods to the People's Republic and keep profiting off the relatively cheap labor that nation provides, but it doesn't want to allow Chinese brands, barring a well-established few, to sell higher-end products in its borders. This one-sided relationship may not be sustainable. America can continue to profit from trade with China, but it has to come up with a strategy that not only protects domestic interests but also welcomes foreign innovation.